Thank you to all who attended our 2015 Quilt Show, we enjoyed showing you the variety of quilters we have in our group. Starry Starry Night....the 2015 Raffle Quilt made by members of EverGreen Quilters Guild. It won Best of Show awarded at the Northwest Washington Fair in 2014. Our own member Carol DeGraaf of Bellingham, WA won this awesome quilt at the end of the show. 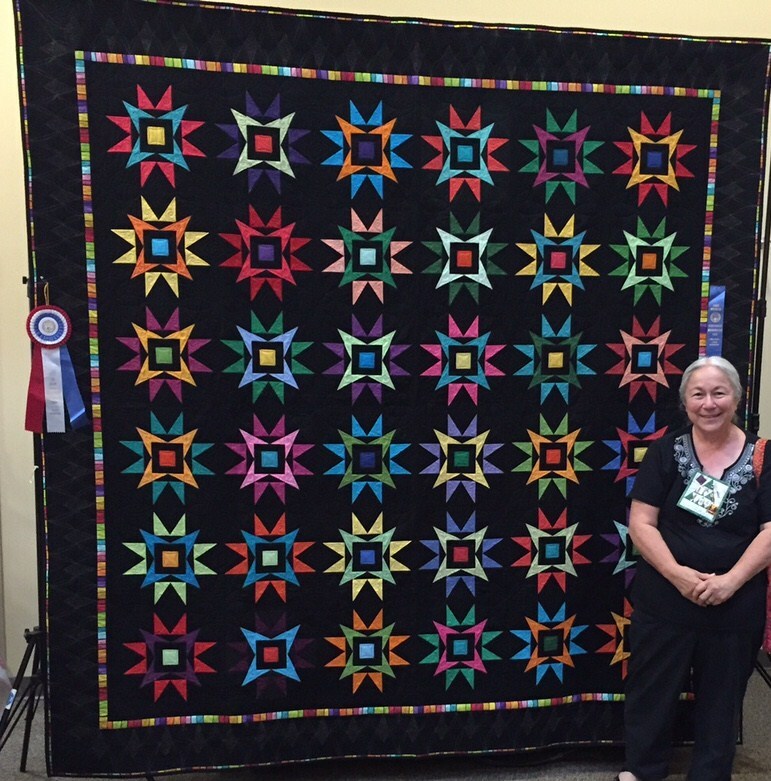 Patty Mitchell was our guest artist during the quilt show. Viewer's Choice 1st Place tie Jo Baner "The '39"
Viewer's Choice 1st Place tie Cheri Thomas "Contessa"
Viewer's Choice 3rd Place tie Patty Mitchell "Goin' Slow & Tapering"
Viewer's Choice 3rd Place tie Dianna Sarich "Parrots of Belize"
Stay tuned and check back often as we gear up to prepare for our 2017 Quilt Show!